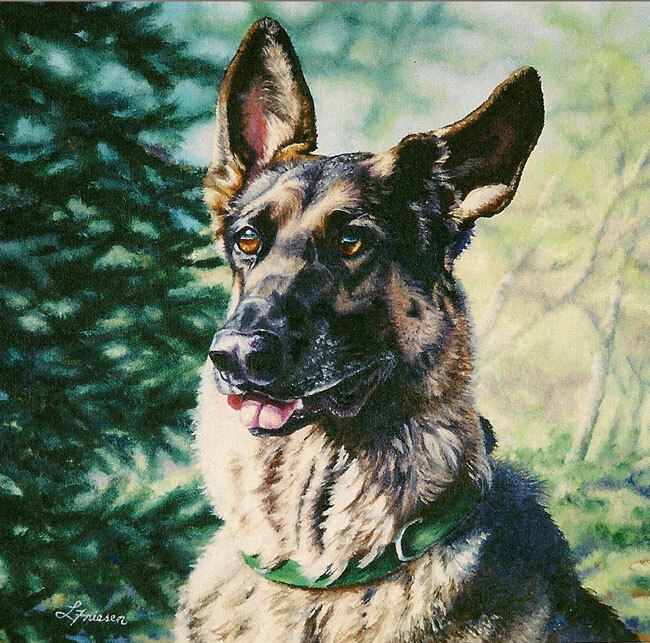 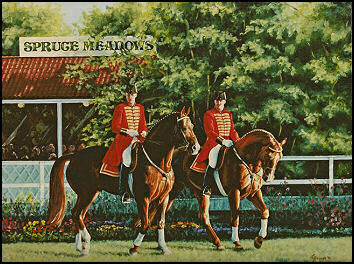 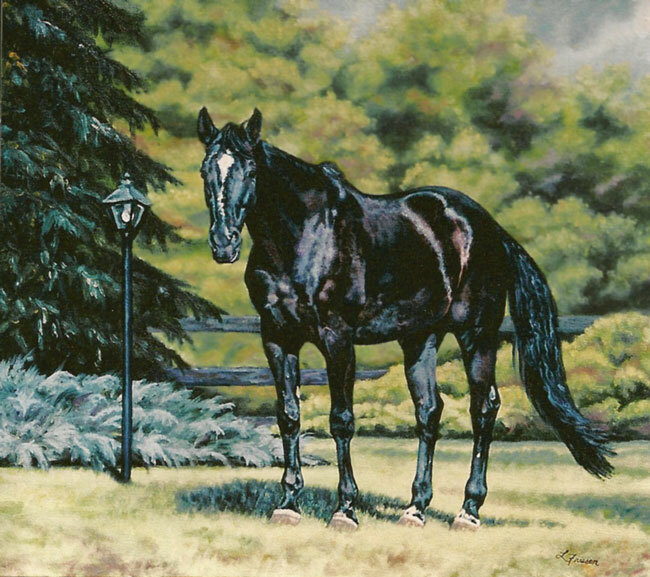 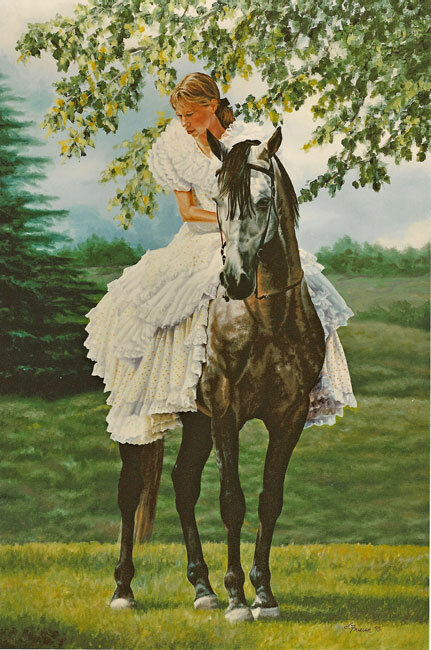 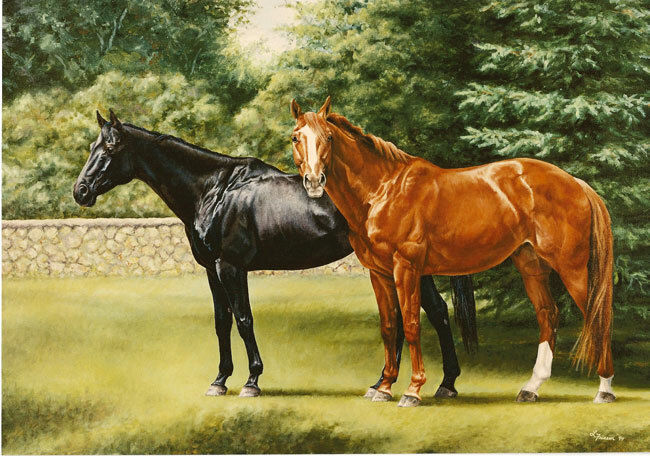 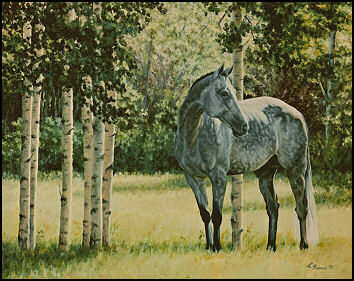 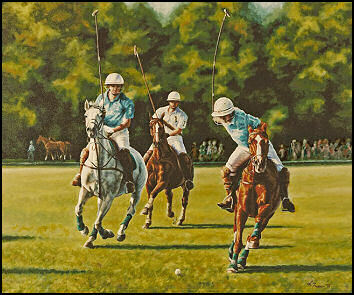 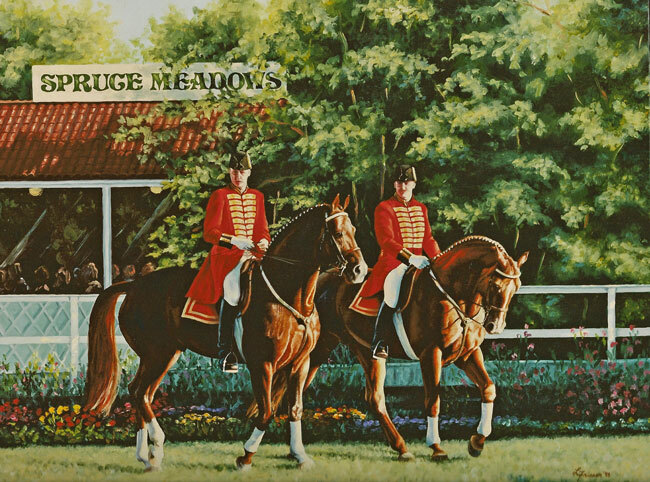 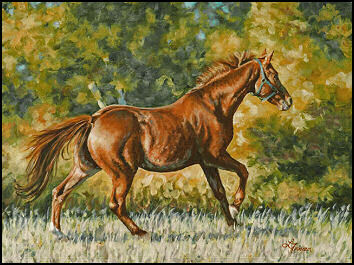 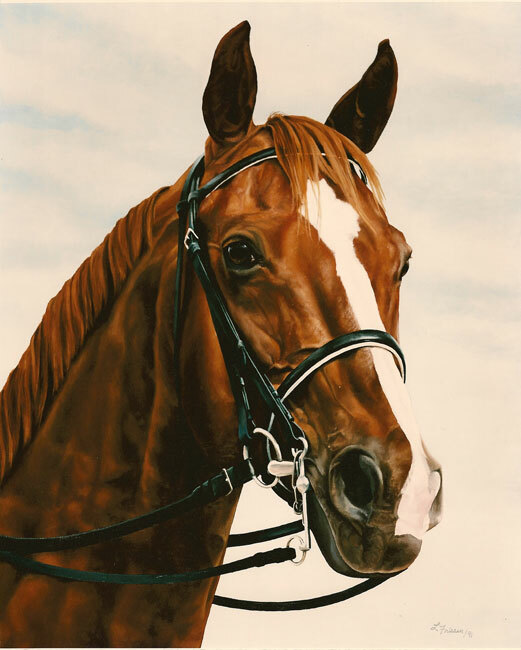 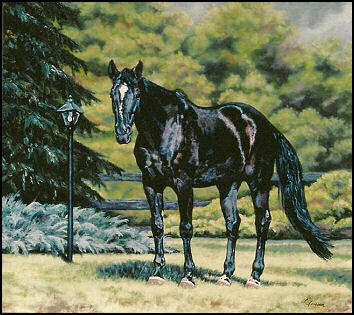 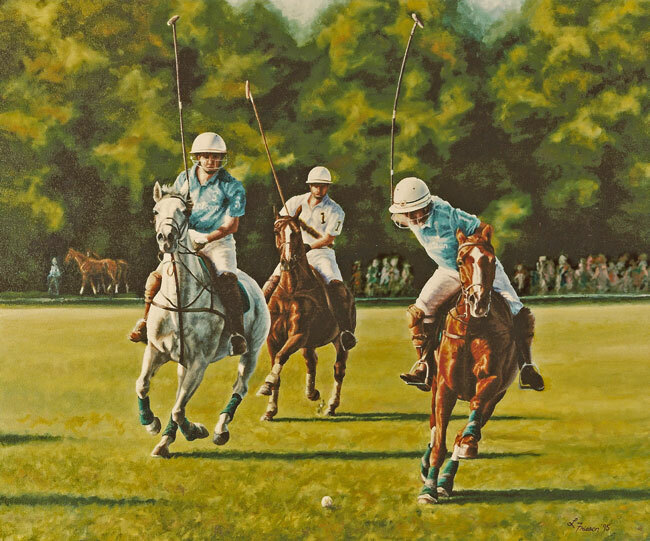 "Celle Stallions at Spruce Meadows"
Subject: Commissioned by Mr. Ron Southern, founder and co-chairman of Spruce Meadows, to honor the Celle stallions from Germany. Subject: Andalusian stallion and rider in traditional Spanish attire. 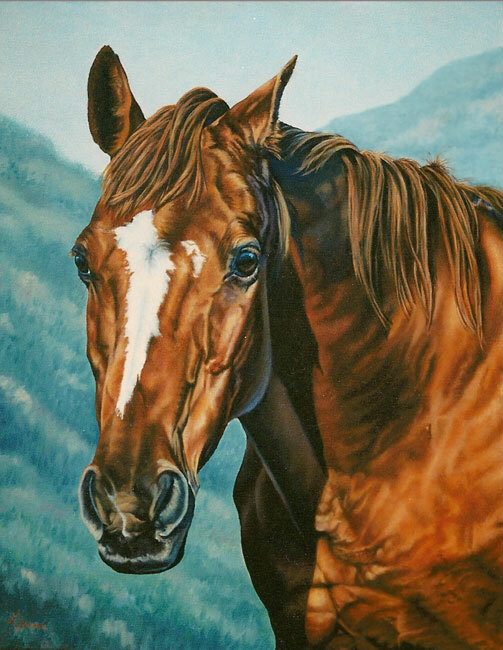 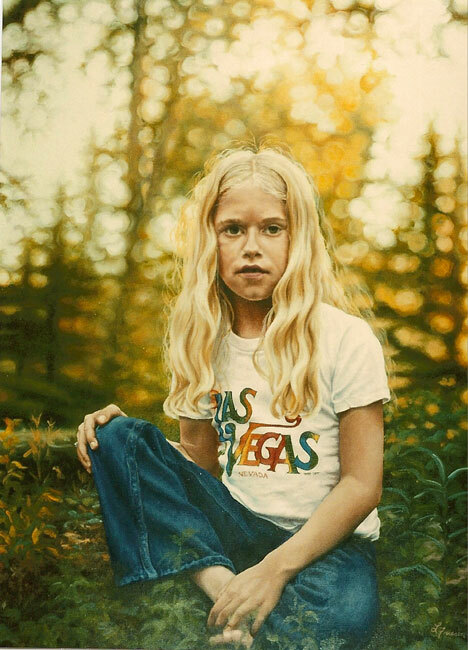 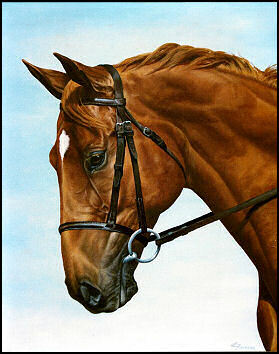 Selected for the cover of "Andalusian: The Official Publication of the International Andalusian Horse Association"
Exhibitions/Awards: Accepted into the 1996 'Horses in Motion' juried art exhibition held at the Kentucky Derby Museum in Louisville, KY.
Oil on canvas 11" x 11"
Oil on canvas 9" x 11"
Subject: Portrait of a senior dressage champion warmblood. 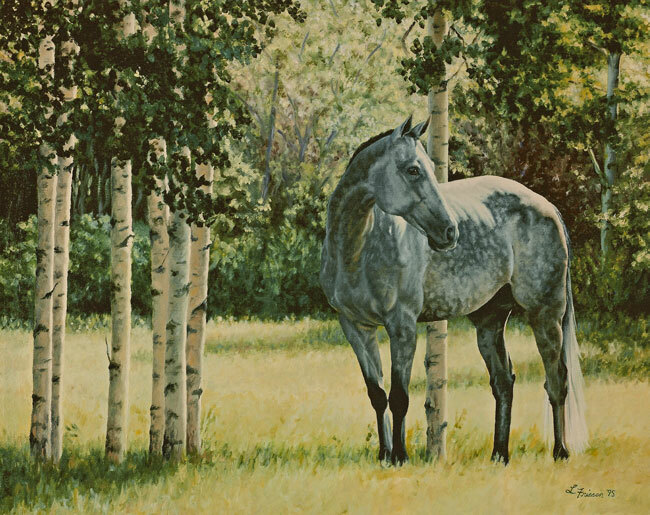 "Portrait of Scout" and “Paint Menagerie"
Subject: Head portrait of Paint stallion and pasture scene of paint broodmares and young stock.